Offering a superior level of strength, heat retention and comfort, the steel bath is a mainstay of the bathroom imbued with excellent design credentials. Ranging in price from entry level units to high quality, sophisticated pieces from the very best of continental design experts, a steel bath can be applied to almost any bathroom context. Free standing, recessed, corner and designer bath tubs are all on show here, each sharing the tried and tested qualities of steel. Both single ended and double ended bath tuns are on offer here, suitable for use with numerous brassware configurations. 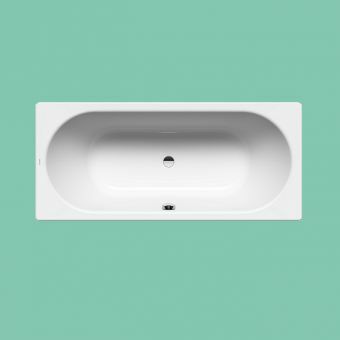 Options for compatible waste outlets and overflows of different design give the flexibility to tailor your bath with those all important finer details. Customers with a penchant for the highly sophisticated, luxury interiors found on the continent will find much to pique the interest, as evidenced by the superlative designer pieces. 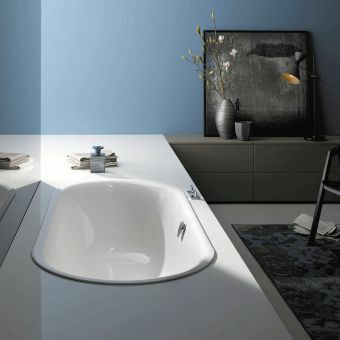 Innovative forms and shapes bring a dynamic visual aspect to the bathroom, without compromising on user comfort or functionality of the piece. Comfortable on the skin, a steel skinned bath will radiate heat internally to keep your bath water warmer for longer, allowing you to treat yourself with a truly indulgent soak. So whether you are looking for a simple bath on a budget, or really looking to splash out on that dream centrepiece for your bathroom, our collection of steel baths holds a host of possibilities. 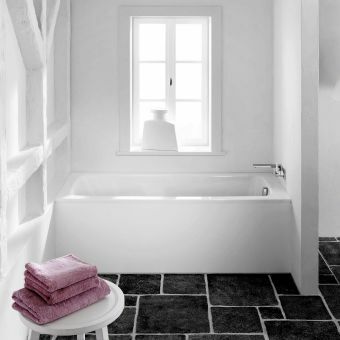 Whether you’re just replacing your tub or the whole bathroom, the bath itself will of course have a huge impact on the overall look of the room. And it will have the potential to transform daily bathing into a relaxing ritual to soothe you and help you unwind at the end of a long day. 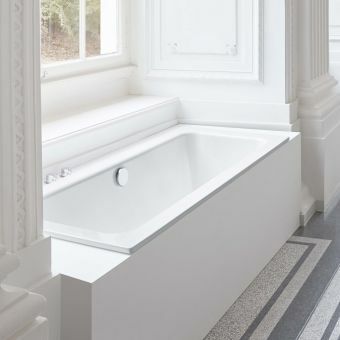 And because it’s the focal point of the bathroom, it’s worth spending some time considering the type of material you want your tub to be made from, as well as its style and shape. Of course, much will depend on how much space you have to play with. It’s true that in some ways modern, acrylic baths have overtaken steel models in popularity, perhaps because of price, but there are still huge benefits to choosing a steel version, especially if you are going for an elegant, designer look to your bathroom. Steel baths tend to be made from a steel sheet which has been pressed into shape, instead of being vacuum-formed. Once it has been cleaned, an enamel coating is sprayed on to the steel so that a durable, hygienic finish is created. This finish is bright, robust and resists any potential damage from cleaning materials. 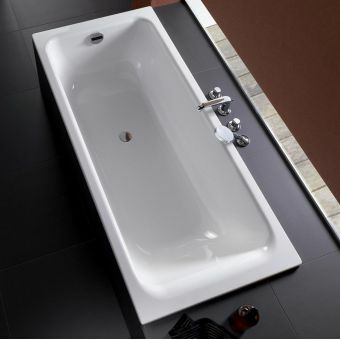 The bath can then be fired at a very high temperature, creating a firm enamel bond between the enamel and the steel. The hardwearing resilience of the best steel baths makes them impossible to scratch. The sturdiest ones can have a thickness of up to 3.5mm, making them very hard to chip, thanks to the enamel coating, even if something heavy is dropped on them. Equally, the very finest steel-enamel models resist the strongest UV light, so that you won’t see any changes in colour, even over time, which does sometimes happen with acrylic baths. 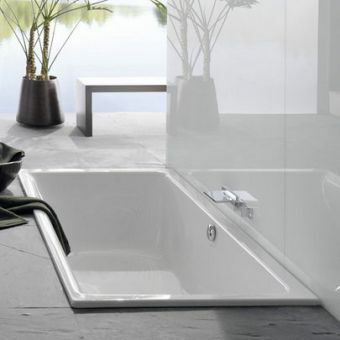 Steel baths are also resistant to chemicals, which means not having to worry about discolouration. They are made from a more traditional type of material, so steel baths look stunning, and tend to be a good match for the porcelain basin and toilet which you also have in your bathroom, and which are glazed in a similar way. 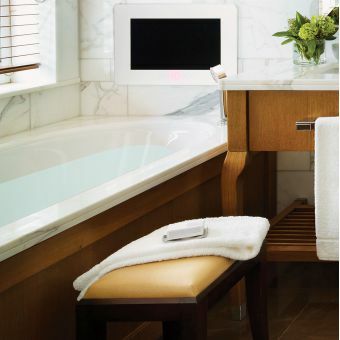 What’s more, your bath will look as good 20 years from now as it does today. Because steel is non-porous, it has excellent qualities when it comes to stopping the growth of mould or bacteria. There’s also the environmentally-friendly nature of steel, a natural raw material which is also 100% recyclable, and a better choice as far as the environment is concerned than a number of other materials, which are produced through the burning of fossil fuels. 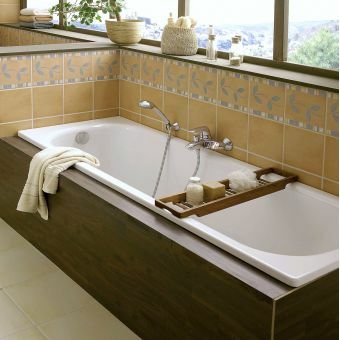 Because it is a good conductor of heat, a steel bath will warm up rapidly once you fill it with hot water. Once steel gets pressed into shape, you can form it into crisp, clean lines to make very striking designs. Steel has excellent heat retention properties, so if you’re someone who enjoys their tub and a nice, long soak, you’ll find you’re not topping up the hot water as often as you would be with a bath made from a different material. 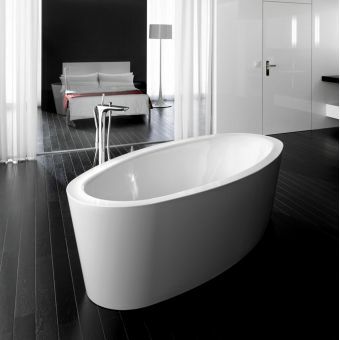 The sharp, flat lines of a steel bath lend themselves well to minimalist design, if that is what you are going for. The sturdiness of these models also makes them ideal if you will be showering over the bath as well as soaking in the tub. Finally, because the majority of steel baths come with pre-drilled tap holes, all you have to do is select the ideal set of bath taps for your bathroom, making life really easy. So, strength, environmental friendliness and aesthetic qualities make steel a great choice for your bath. 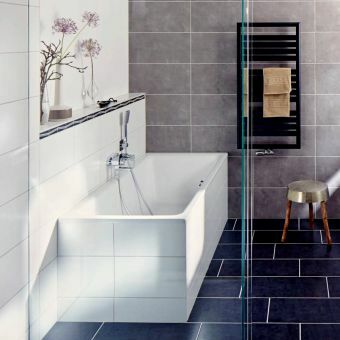 And, depending on taste, budget and available space in your bathroom, you could go for a steel bath as a standard or freestanding model, perhaps with elegant claw feet, or you could choose to have a shower or corner tub. Here, we look at the models available from some of the UK’s leading steel bath manufacturers. 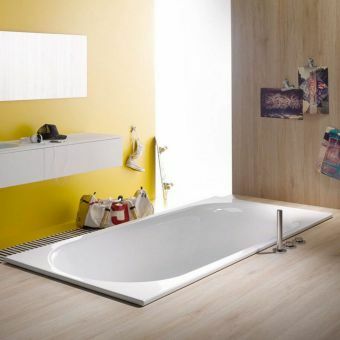 This top producer of sanitaryware, headquartered in Spain, has several bathtubs made from steel among its products, including the rectangular Lun Plus in two different sizes, complete with an anti-slip base. 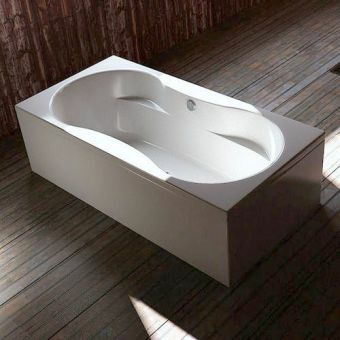 Other options include the Duo Plus model or the Swing, again a rectangular tub available in a couple of different sizes. 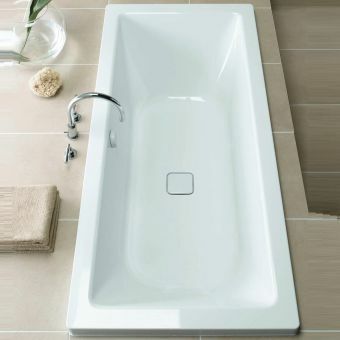 Alternatively, check out the Roca Contesa standard steel bath, which comes in three varying sizes, allowing you to choose the model which best suits your space. All three models have a width of 700mm, but the varying lengths are 1,500, 1,600 and 1,700mm. 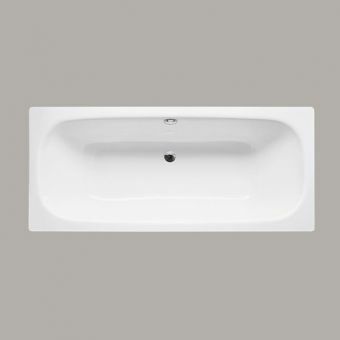 The Contesa is made from a sheet of steel 2.2mm in width, finished with double porcelain gloss white enamel. 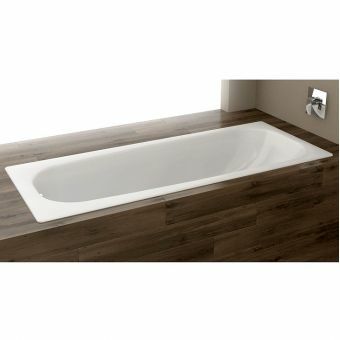 You will get years of use and enjoyment from your Contesa tub, which has a solid construction and is stain resistant. 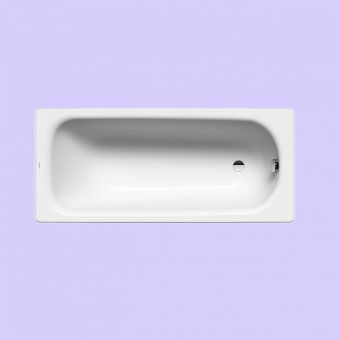 What’s more, you can buy this steel bath with or without tap holes, with the latter option of course allowing you to find the best product to suit the décor of your individual bathroom. You can also choose the waste and bath panels you want, and buy these separately. The model comes with a set of standard bolt-on legs. 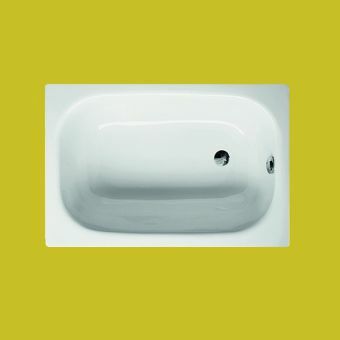 This premier German brand, established more than six decades ago in 1952, also has a number of high-quality steel baths in its range. Indeed, it is well known for offering this type of product. The company has honed its techniques for steel reshaping over the years, and is especially skilled at finishing enamel to perfection. It offers an array of styles in different styles and sizes using the best quality raw materials, including steel. Bette is known for great-looking products, ease of installation and for great design which supports functionality. Choose from classic or modern designs, or go for a minimalist look – the choice is yours. 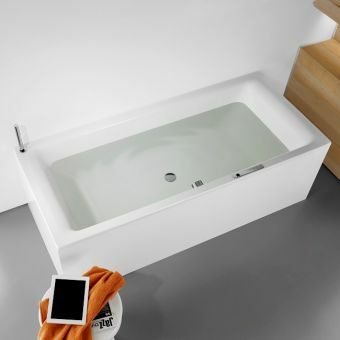 Your steel bath will be durable and strong with a gorgeous white finish. Go for a standard rectangular design or the Family Octa Super Steel Bath for a bigger bathroom, with subtle lines to give your bathroom a modern aesthetic appeal. 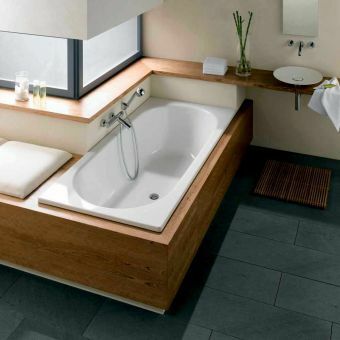 This is a spacious model for super indulgent bathing. 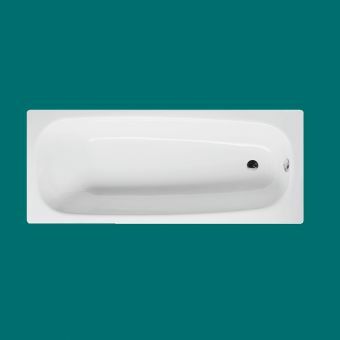 The rectangular super steel mini bath has smooth contours for comfortable yet compact dimensions, and is ideal for smaller or medium-sized bathrooms. Made from titanium steel, it has a 65 litre capacity. You’ll also find a number of shower baths in the range, alongside the beautifully built low line rectangular steel model with a 1.6mm titanium steel body. Again, this model is stain resistant. 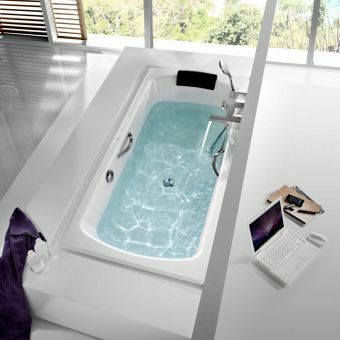 Meanwhile the super steel bath is made from 2.4mm heat-conductive titanium which resists even strong scouring products. 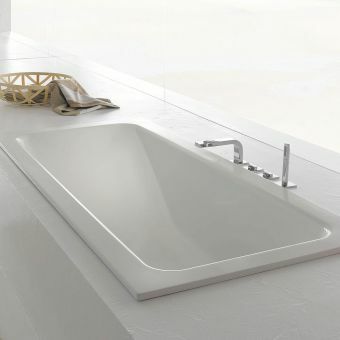 The line-up also includes a double-ended corner bath, and the Starlet III, with its unusual shape and pointed front. 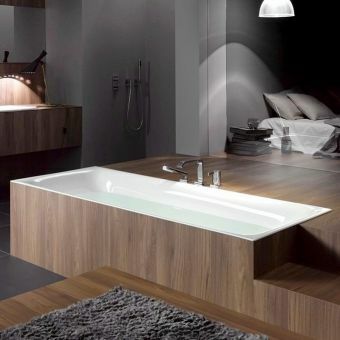 Top manufacturer Kaldewei is known for its stunning, strong and long-lasting steel baths which invariably look incredible. Different enamels, shapes and styles are all on offer to choose from. 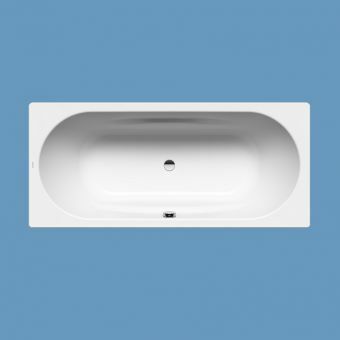 But whichever model you choose, you will have peace of mind that these tubs come with a 30-year guarantee against any potential manufacturing defects. 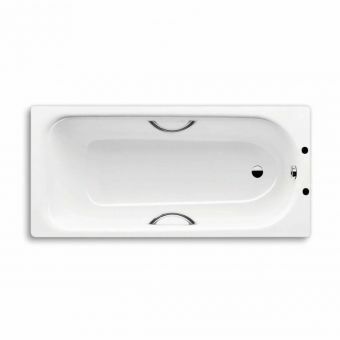 Steels baths to make your selection from by this make include whirlpool, one seat and double ended models. 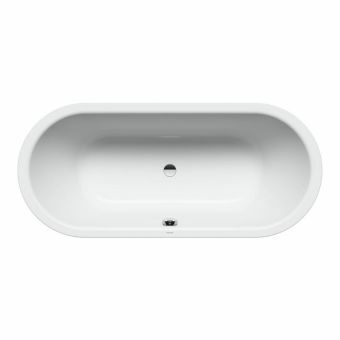 The oval-shaped Kaldewei double-ended steel bath comes from the brand’s Classic line and it’s available in an Alpine White finish. It won’t fade, and also staunchly resists acid, scratches, abrasion and the force of any impact. It comes without any tap holes. 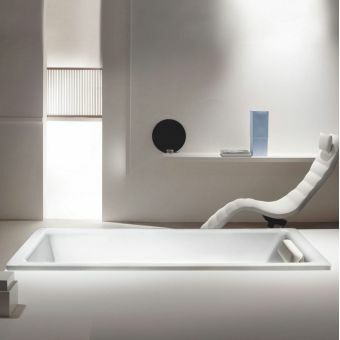 For a decadent bathing experience, consider the Assymetric Due Steel Bath, measuring a generous 1,900mm by 1,000mm. It’s finished in bright white and made from highly durable steel enamel. Alternatively, the Saniform Plus 371-1 model is all about elegance and glamour, and does very well when it comes to customer reviews. It is a classic four-cornered model. Again, this model comes with no tap holes, and is made from high quality steel enamel for a flawless appearance. 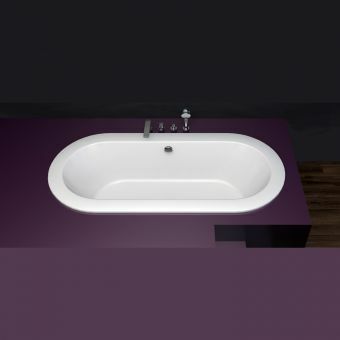 Another idea is the Puro 683 steel bath, epitomising comfort, luxury and fashion. This is a new design from the brand. Made from 3.5mm steel enamel, it is surprisingly affordable, and is available in a smart white finish. At the same time, you could enjoy highly reliable quality with the Plus Saniform 375-1, another classic four cornered unit, which again has enjoyed high ratings from customers who have reviewed this product. 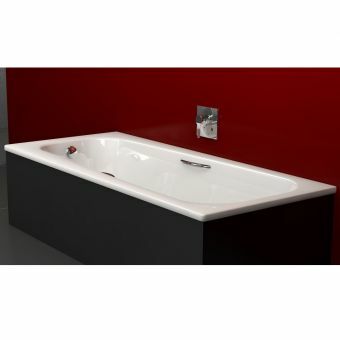 Or perhaps you’d prefer the elegant yet practical Centro Duo Oval model, with moulded panels. 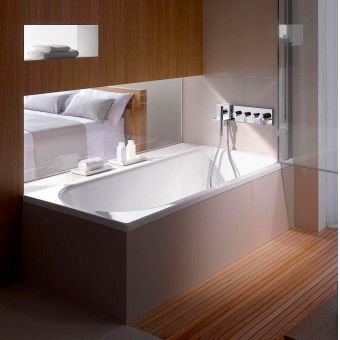 Offering a great depth, this one was designed with the modern bathroom firmly in mind. Fine craftsmanship from this manufacturer can also be seen in the Cayono Star single-ended steel model, with its durable, hygienic surface. 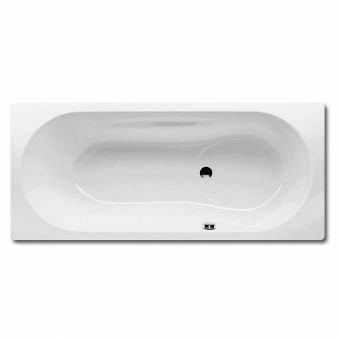 High quality bathing pleasure is guaranteed with all of our steel baths described above. We’re here to help guide you through the process, so that you choose a model which is just perfect for you, your tastes, requirements, available bathroom space and budget. Remember, we offer free delivery on many of the products we sell, and totally secure payment for complete peace of mind while our prices are inclusive of VAT. Buy your steel bath from us with confidence - get in touch today.